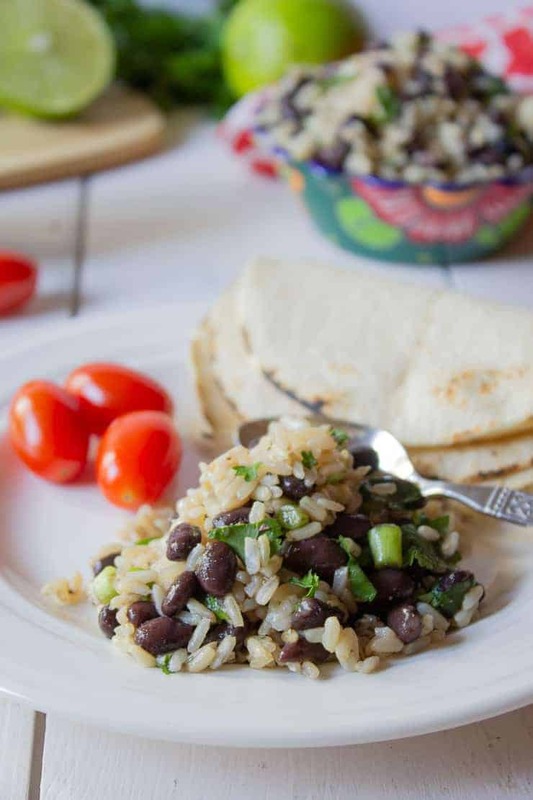 Black Beans and Rice – this is a truly versatile dish. 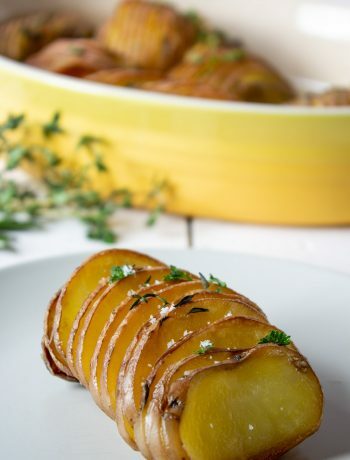 It’s a side dish perfect served with any meal. It’s a salad perfect served at room temperature. It’s a main dish perfect served for lunch or a light dinner. It’s really whatever you want it to be. I like it best served at room temperature. Recently I made a huge pot of beans using my Instant Pot. Those Instant Pot Black Beans turned out perfectly. I used some of those beans in this dish. You could also use a can of black beans, just rinse the beans before using. I also used some leftover brown rice that I had from the night before. This dish is perfect for using up leftovers. 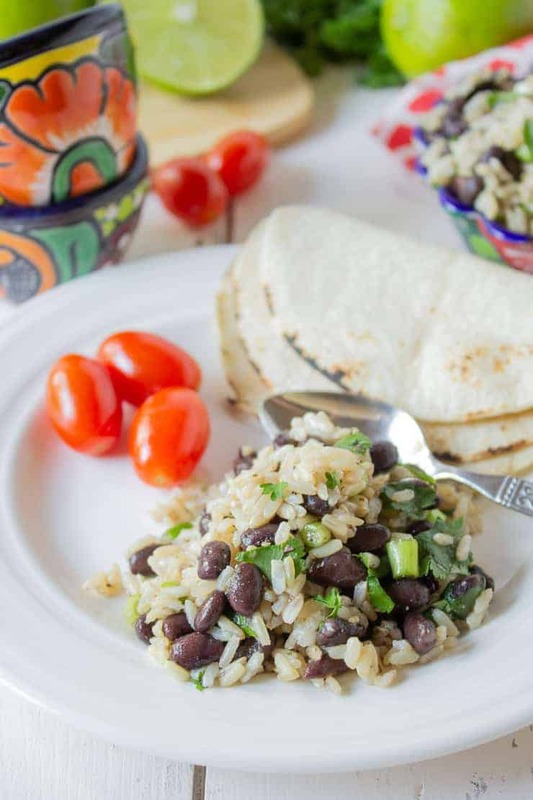 Of course if you don’t have leftover rice and beans, you can whip up a batch of each. Many people wonder if black beans are healthy. Everyone has a different meaning of what is healthy, but these fit my rules for healthy. I made this dish using brown rice. You could also use white rice if you’d prefer. 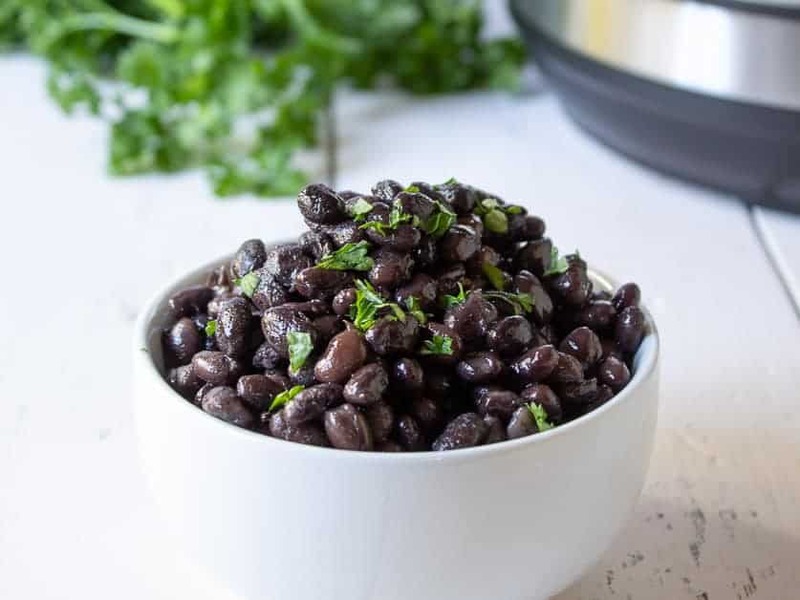 Use black beans – homemade or canned. If using canned black beans, rinse and drain beans first. This helps remove the sauce that comes with canned beans. Use fresh chopped cilantro. If you aren’t a fan of cilantro, you could use fresh chopped parsley. Use chopped green onions. You could also use chopped red onions, although they do have a stronger taste. Use fresh squeezed lime juice. Store bought lime juice does not have the same taste as fresh squeezed. Use approximately 2 tablespoons of lime juice which comes from about 1 large lime. If you wanted a bit of heat, add half of a finely chopped jalapeno! Mix everything together in a bowl, add seasoning and serve. 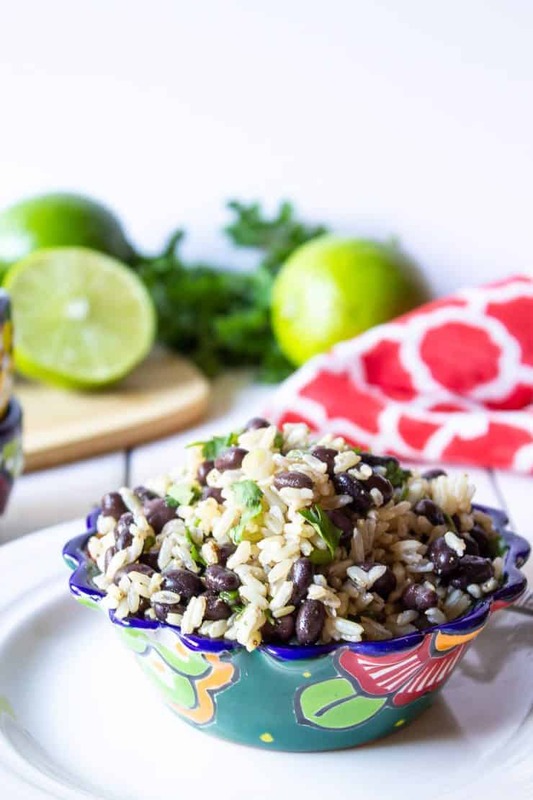 Black Bean Burrito Bowls – Lettuce, rice, black beans, chicken and guacamole – need I say more? 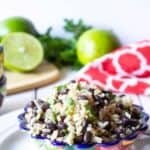 Black Bean and Corn Salad – With a jalapeno lime dressing! 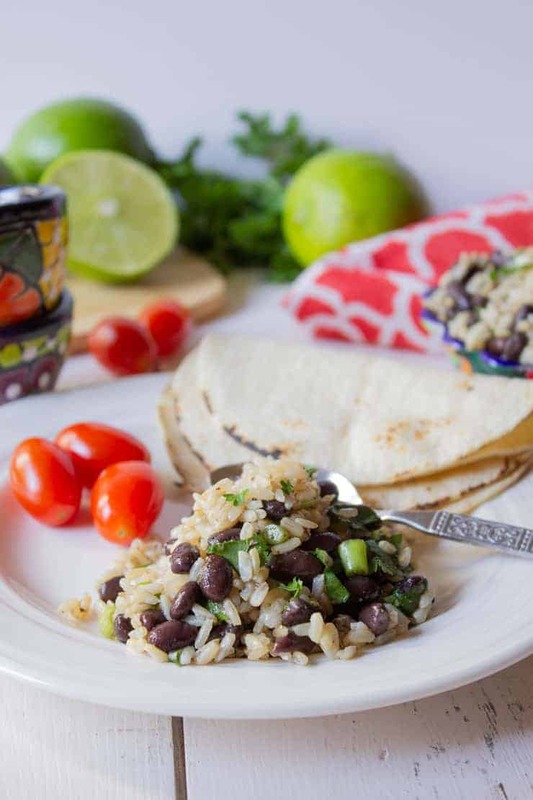 Black beans, rice, cilantro and lime juice create a delicious combination. Add all ingredients into a bowl. Mix gently so all ingredients are combined. If using canned black beans, rinse and drain before using. Kathy, these black beans and rice look so good! I like how they’re chilled and served at room temperature, more along the lines of a salad than a hot dish. Very tasty! Thanks, Kelly! I’m sure it could be served hot, but I really like it a room temp. This is my kind of light lunch, also to bring to work. Love that you can make it ahead. 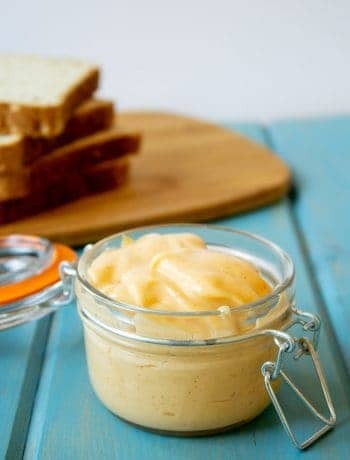 It has wonderful flavors and it is so good for you.! 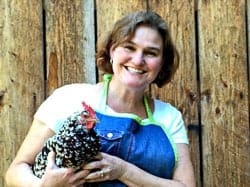 An easy, tasty side with so much flavor Kathy! 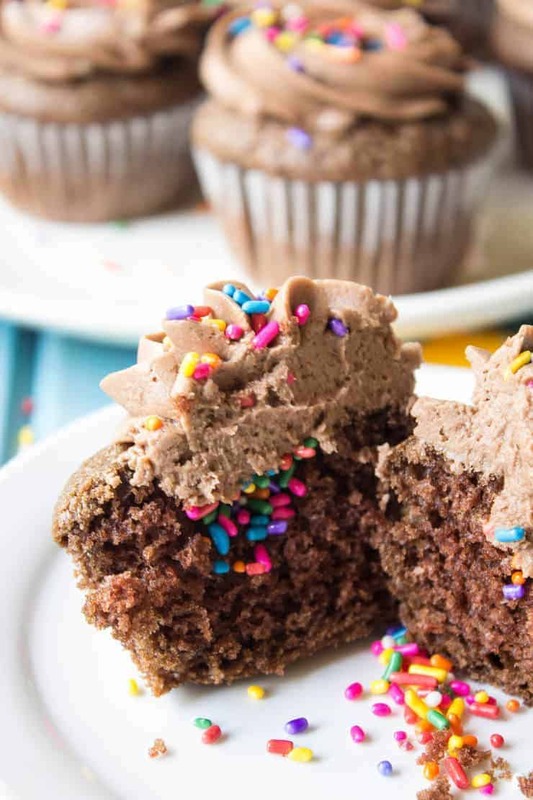 And black beans are one of our favorites!